I’ve been experimenting with smoothies quite a bit lately. They make for a perfect, easy lunch alongside cheese and crackers … because you all know this mama ain’t starting up the oven for dino nuggets in the heat of the day! 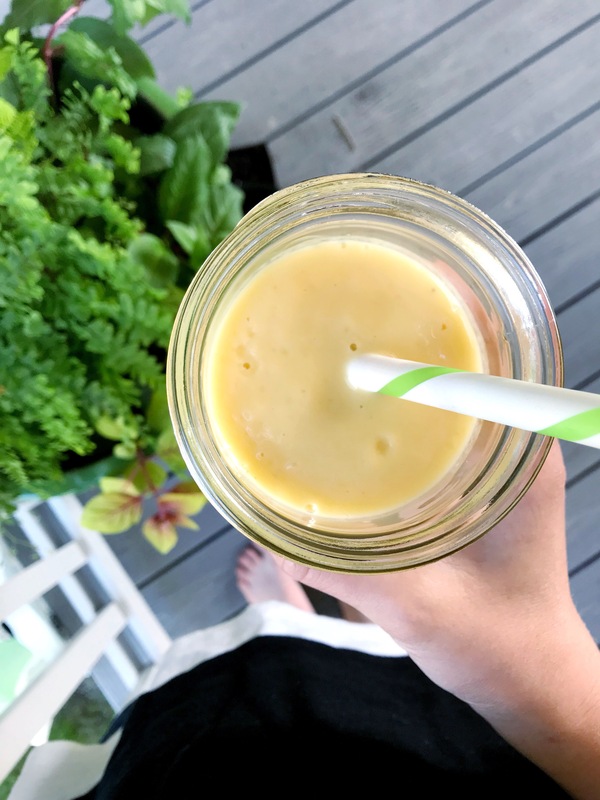 Some of my smoothies have been BIG wins and others, well, let’s just say that the kids and I have had to choke a few down in the name of good ingredients mixed poorly. Of all my experiments, this one, which we have dubbed the sunshine smoothie, is the favorite. It’s thick and creamy and has just the right tropical vibe for summer. We love it! I hope you do too! Place all ingredients in a blender, larger and more frozen items towards the bottom. Add liquid and blend for 2 minutes.